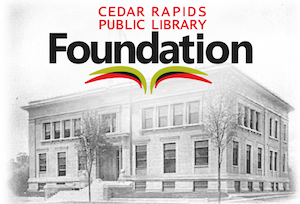 The Cedar Rapids Public Library is a passionate advocate for literacy and lifelong learning. 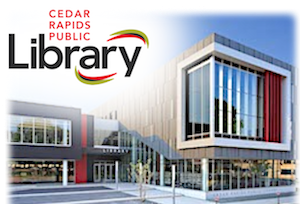 The Cedar Rapids Public Library (CRPL) serves the 250,000 citizens of Cedar Rapids and surrounding communities in Eastern Iowa. A passionate advocate for literacy and lifelong learning, the CRPL exists to impact our community and transform its quality of life through education, civic engagement, the arts, and entertainment. One of only 10 Libraries in the country to win the 2017 National Medal for Museum & Library Science, the CRPL was selected due to the impact of its programs and services within our community. We are proud of our role in preserving our past, making it accessible in the present, and ensuring its future.